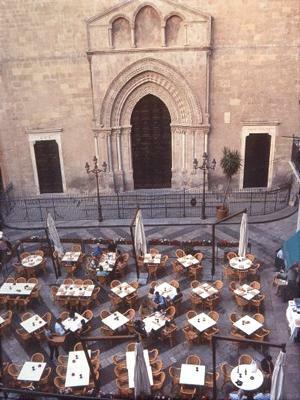 For its particular position, also being in the heart of the historical center of Palermo, the lodging is absolutely sheltered from the noises of the traffic and from the buzzing that the numerous seated customers to the small tables of the by now very famous Focacceria San Francesco produces in the square. The owners have restored the residence in the full respect of its architectonic, distinctive characteristics (arcade, stones walls, ceilings in tables of wood and trusses), making it varied and original but also pleasant. 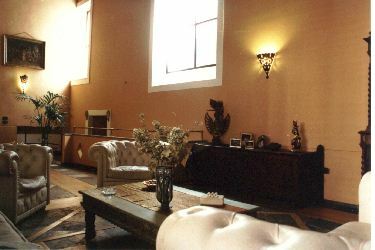 The house in fact is developed on various levels, connected between them by artistic stairs in wrought iron, and shows a particular fascination that the guest picks in the same moment in which enters in these atmospheres lacking in limitations of space and enjoyable at every step from one new and always various perspective. The destined zones to bed and breakfast fully reflect the homes originality, while quality of materials and cures of particulars guarantee to the attention to the pilgrims accommodation. Wide windows (soundproofed) illuminate the wide approximately more than 50 mq. locals (for every suite). 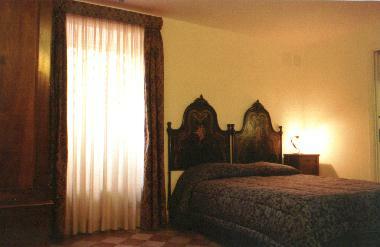 Both the suites have two different bed-zones divided from suitable curtains or sliding doors. The available space permits to comfortably contain a regular double bed in a zone and two single bed in the other one. Each suite has a living zone. The private bathrooms with shower are decorated with 19th century majolicas. The furnishings is mainly formed by wrought iron elements and old pieces of furniture that are coming from various Sicily zones. The suites to rent, beyond the residence to having the front door in the Alessandro Paternostro way, have just their independent admittance from an internal semicircular court on which ancient buildings of the Palermo of a time show oneself. For each suite a regular double bed and two single bed. Its possible to add a 5th bed. Private bathroom with shower and WC. Self-catering (available just in one suite). Daily room cleaning up. Internet point in room via Ethernet. Independent entrance. for people interested in the cultural aspects: the Picture Gallery of Abatellis Palace, the Picture Gallery of Modern Art, the International Museum of Marionettes and the more important theatres, among them the famous Massimo Theater, and besides the Botanical Garden of the University are really found nearby. From the Bed and Breakfast every place is always reachable on foot in a few minutes, no public transport required, allowing the visitor to live in depth the local context, avoiding the traffic jam only using a tourist map and a bit curiosity. Curiosity is your key resource to find out baroque facades of hidden palaces, portals of carved stone, and not always indicated from the guides courtyards and gardens. The local courtesy and the kindness (always told by the visitors) and the ever fine weather will be useful to find out the most authentic heart of the city of Palermo. 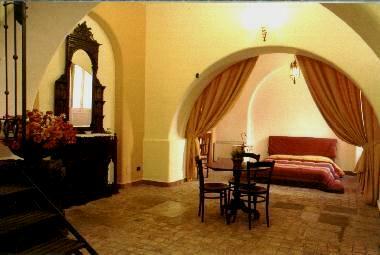 At the first floor of Palazzo Pantelleria near the B&B: very intimate. Airport: Palermo-Punta Raisi (Falcone Borsellino) is distant about 25 Km. 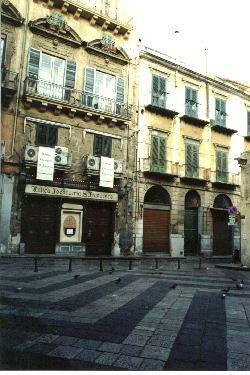 Reaching Palermo by car via highway, follow just near the city the indications to PORTO. From PORTO go to Via V. Emanuele. Turn on the right into it, then turn on the left into Via A. Paternostro. By public means, bus or train stop at Palermo Stazione Centrale (Central railway Station). Central Railway Station: (Palermo Stazione Centrale) is distant about 1 Km. Feed via Roma, then at the first traffic light turn on the right in Via V. Emanuele, then turn again on the right in via Alessandro Paternostro. Marine station (Harbour): to about 2 Km. From harbor turn left to Via V. Emanuele., turn right , then turn left to Via A. Paternostro. By car. The indication are similar to those to follow for who comes from airport via highway. From Catania-Palermo highway follow the first indication to CENTRO.